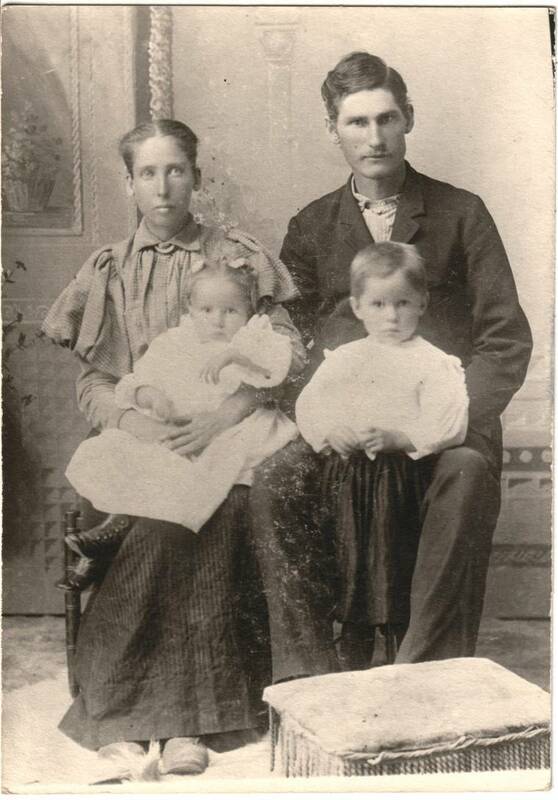 Comments: George Mathison Bates (Nee: ) | TX United States | 1851-1900 | Comments: Family photo of George Mathison Bates, Effie Zenobia Bundick Bates, Walter Richard Bates (young boy), and Estel Bates (baby girl). Taken about 1899, probably in Guadalupe County, Texas. Walter was my grandpa.